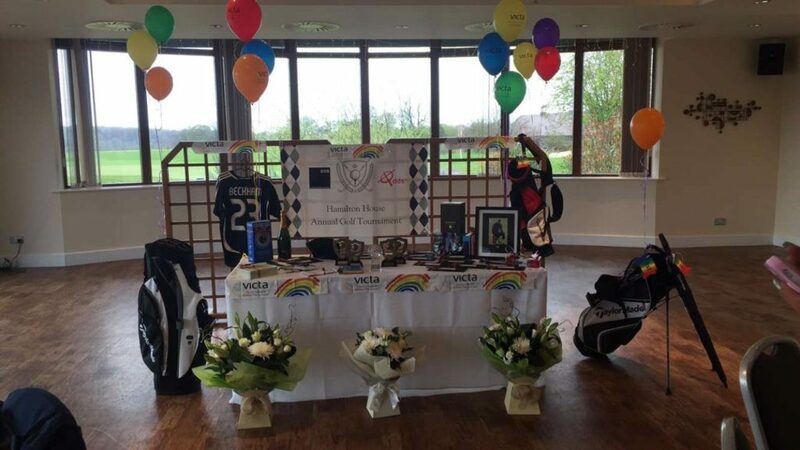 EOS hosted their second annual Golf Day on Friday 15th April 2016 at Surrey Downs Golf Club fundraising for VICTA UK. VICTA is a fantastic charity that supports children and young people who are blind or partially sighted and their families across the UK. Although we prayed for some sunshine unfortunately we had a very cold and wet day however with a few toffee vodka shots to help the golfers round we managed to keep everyone smiling! Many local businesses were very kind in donating some amazing prizes for our auction and raffle which included tickets to The Lion King Musical, Signed Crystal Palace Shirt & an overnight stay at Selsdon Park Hotel. We have totalled the amount raised from the day which is a staggering £3745.00 towards VICTA UK. We are so grateful to have such great support each year and are already putting ideas in place for 2017!